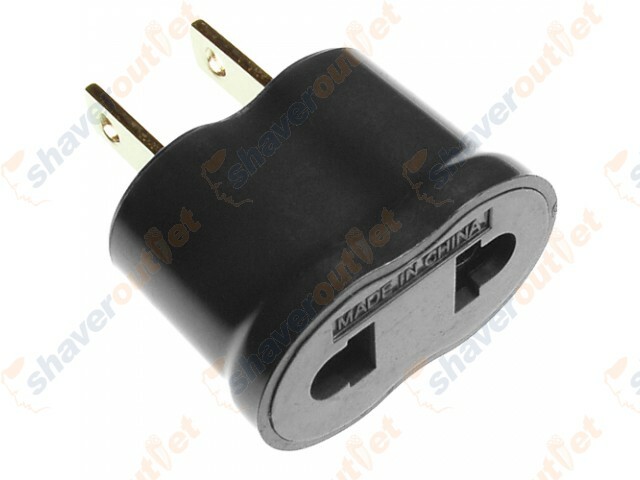 International foreign travel plug adapter European to North, Central and South America. Use with non-grounded voltage converters, transformers and dual voltage appliances. Electrical wall outlets around the world differ in shape, number, and arrangement of plug holes. Adaptor plugs allow voltage converters, heavy duty transformers, and dual voltage appliances to fit most of the electrical outlets found worldwide.